Looking for yet another place to buy food, I found about the California fruit Depot online. 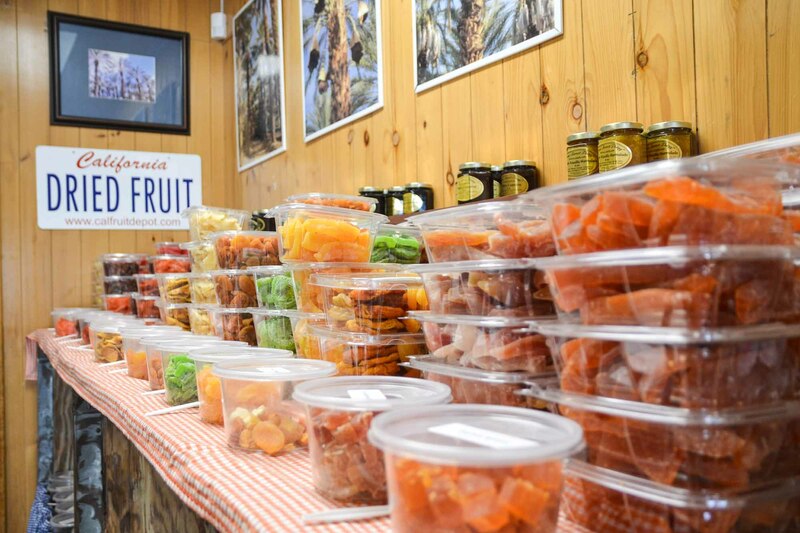 I was curious about this local family-run business, specialized in citrus, dates, and dry fruits, that seemed to have a very strong commitment to offering the best they can to their customers. I went through their website and enjoyed their introductory text, the homemade feeling of it all (one can definitely feel the hours spent working on the technical and practical aspects behind the old-school look of it), and its overall humble simple effectiveness. Better focus on the product than on the website. I like that. Also, I wanted to find locally grown fruits, and discover another aspect of the city. 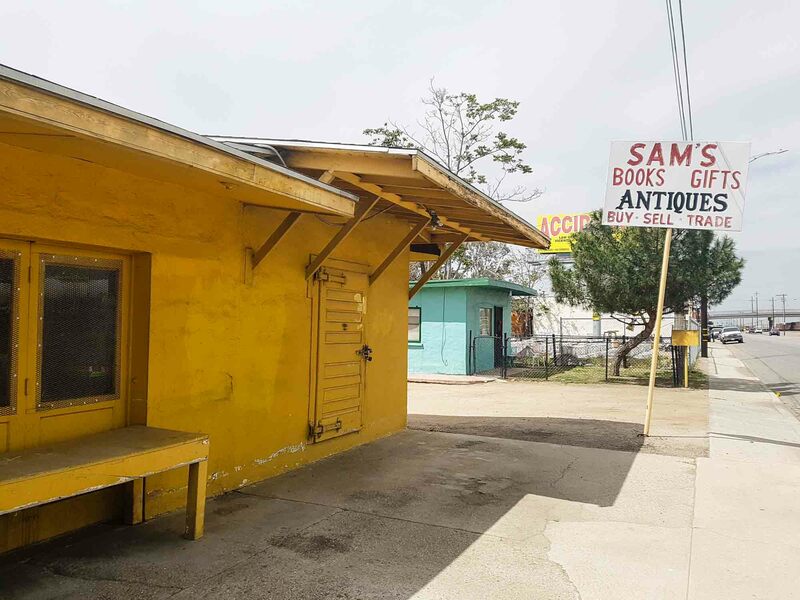 Not only the California Fruit Depot is different from other shop in Bakersfield, but it will also take you to unsuspected areas of the city if you can drive there along Edison Highway. For a foreigner, the drive is definitely worth it: never-ending trains, thrift-stores, used refrigerator-parts stores, colorful constructions, abandoned shops, amazing painted signs… and a very particular feeling you are “getting” something different… like an open-sky contemporary history museum. And when you finally reach, after driving in-between orange-tree fields, the shop itself feels like you just quickly ran downstairs to your most favorite deli fruit market in the neighborhood. Be it the traditional European gingham fabric (called vichy in France, where it has always been produced and used in home decor), or the wooden walls and shelves… it really feels like you time-traveled (again). Tables are covered in colorful dried fruits and vegetables, in different citrus varieties, and numerous Medjool dates, pickles and preserves. Oranges are tasted by the staff before they make it to the shelves, and you can taste actually them as well before they make it to your kitchen. In fact, you can sample almost everything that is sold, from oranges to olives to wasabi peas or nuts. It makes it very easy to treat yourself with novelty: french beans crisps, stuffed olives, dried garlic cloves, eggplant chips. The owners grow their own citrus and dates, and all other items are sourced from local growers and producers. One can feel the dedication to high quality product, and the love the family has for their own production. This is the perfect place to learn more about different quality of dates for instance, and in my experience, any question will be nicely and passionately answered. They opened their retail shop in 2003, apparently quite “cluelessly”, not knowing where it would take them next. Well, an average of 45 people today work on the facility to help with picking, sorting, preparing, packaging and getting everything neat and ready for the shop or for shipping. Since if you do not really fancy driving there, or if you lack time do do so, you can still order online. 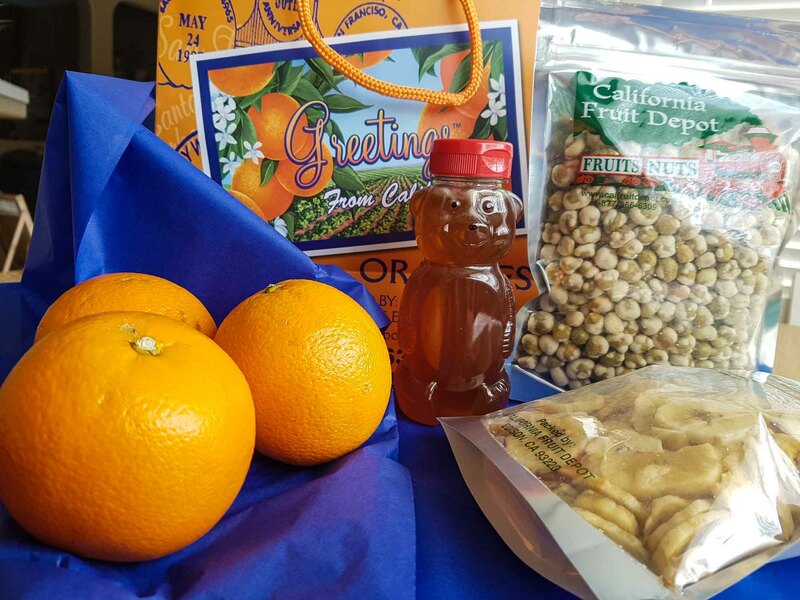 And if you are not from the area, you’re not alone : California Fruit Depot has been shipping its oranges all over the world, right after the fruit is picked and packed. Probably the smallest volume packing house in California, but its oranges made their way to thousands of homes in tens of countries. A great gift idea as well, instead of getting (perhaps) useless items or bound-to-die cut flowers, what about a food delicacy? 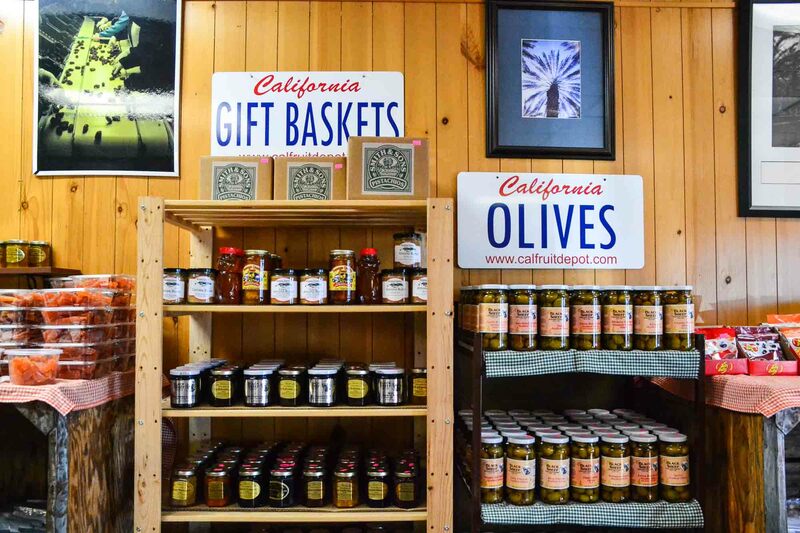 Among very intriguing items such as the Gourmet Atomic Frog Balls, the California Fruit Depot also offers different kinds of honey. After hesitating and a little chat, I went for the locally produced no-brand one. Because chances are, “just a spoonful of [honey] helps the [allergies] go down, in a most delightful way”. I will make sure to try it a little earlier in spring next year, for honey produced in the Valley should help with pollen desensitization. Better then medicine, right? For more info or to order online, visit their website here. And discover worldwide smart ideas and beautiful projects.